When Peter Nardi created the Mind Spy and Stealth he had a very special wallet made for himself. Peter has used this wallet for the past 3 years, and to this day only one other person has had the pleasure of owning and working with the incredible wallet. Unveiled for the very first time, Peter Nardi lifts the shroud of mystery and presents to you his greatest creation... The Stealth Assassin! 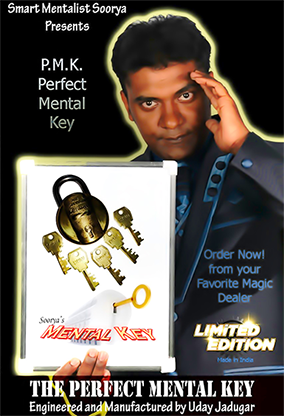 This is truly the utility device for the mentalist. 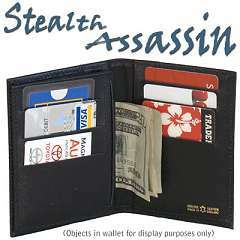 Carry the Assassin with you, and you will have a complete mentalism act in your pocket! 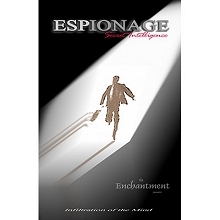 Those in the know have been waiting for the release of the Assassin since its creation, and now that wait is over! Manufactured in high quality leather with a great attention to detail, the Assassin takes all the greatest elements from its predecessors and combines them to create something new and powerful! Predict a driver's license number. Predict a credit card number. Have a spectator write or draw anything on the back of a business card. The mentalist can then read the spectator's mind and tell them what is on the business card, or the mentalist can choose to simply redraw what the spectator has drawn. Comes complete with wallet and 2 instructional DVDs featuring Peter Nardi and Marc Spelmann. The DVDs include full routines, handling, timing tips, and bonus effects and ideas!